The kitsch, camp, extravaganza that is the Eurovision Song Contest is just around the corner and here we take a look at the first semi final. You can check out our live betting odds comparison to get the best odds on whoever you want to bet on – be that to win the semi or to qualify – or you can read on for analysis and top Eurovision betting tips. The final takes place in Copenhagen on the 10th May with this heat on the 6th May and the second of the semis on the 8th May. 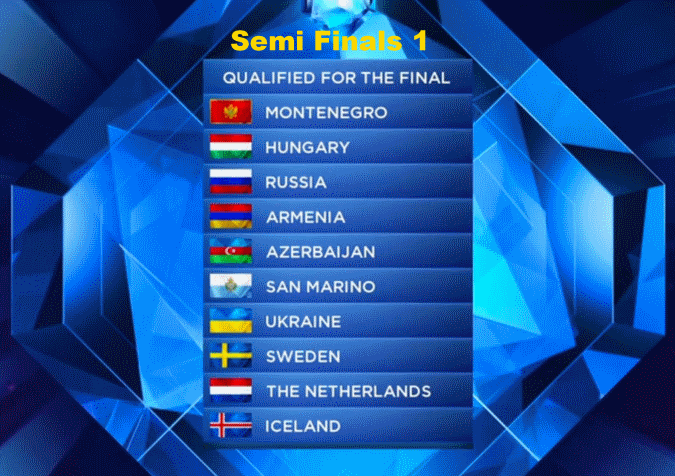 The semi final draw has allocated several of the “best” acts to this semi final. As hosts and defending Eurovision winners, Denmark join the regular automatic finalists of the UK, France, Spain, Germany and Italy. But despite not being certainties for the final it is two countries from this semi final that head the overall betting. Armenia can be backed to win the semi at odds of evens, with Sweden, the 2012 champions, on offer at 11/4, both betting odds with Bwin. Those two are the current favourites in the outright final betting too, at 6/4 and 7/2 with 888sport and Youwin respectively (Denmark are distant third favourites to defend their Eurovision crown at odds of 11/1 with Bwin). Spain, France and Denmark will vote in this semi final and that will give a slight edge to Sweden, being represented by attractive blonde songstress Sanna Nielsen. “Undo” is classic Eurovision fodder and should go down very well but we suspect that Azerbaijan, who have a decent Eurovision record and won semi final two last year, could offer better value than the two favourites. Azerbaijan can be backed at odds of 17/2 with Bet365 to win this Eurovision semi final and that looks well worth a pop after they finished second last year. Dilara Kazimova’s “Start a Fire” is a slow, powerful ballad and her voice cannot be faulted. It will be close but we fancy Dilara to pip Sweden and Armenia, though all three are certainties to make the Contest final.